Illegal use of blue lights by Blood Bike Rider Chairman! It has been brought to my attention that Paul Brooks, Chairman of North West Blood Bikes has allegedly used (on more than one occasion) the Blue Lights illegally while undertaking non ‘Very Urgent‘ runs. It was reported that this was on a Motorway on a Bank Holiday to filter through traffic with no authority or legal justification! A number of logs of information received so far!. NONE of the above uses were legal. Therefore, the North West Blood Bike Chairman and UK Magistrate, knowingly broke the law and put members of the public in danger simply because he didn’t want to ‘wait in traffic’ like everyone else and abused the fact he had access to blue lights. For the use to be legal, the delivery MUST be classified as ‘VERY URGENT‘. The use must also be authorised by the NHS Trust to assure the delivery is a ‘life or death situation’. There is no authority for any other classification. In the eyes of the law, emergency equipment should only be used when dispatched by a NHS Trust carrying human cells where there is a risk to life or limb. The Service Level Agreement (SLA) for most of the NHS Trusts is 90 minutes from call to delivery, so no reason for blues to be used for standing traffic. Paul Brooks has also specifically told the north manger that blues are not to be used to pass through standing traffic at roadworks so therefore contradicting his own illegal use of the blue lights. The usage of blue Lights by Blood Bike riders is strictly regulated and can only be authorised by the NHS on a case by case basis. This is predominantly for life or death situations and not general runs (regular runs). 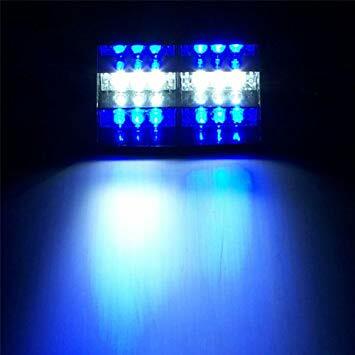 Use of blue flashing lights can put other members of the public in danger and therefore must only be used in exceptional circumstances. Regular runs are for non-urgent deliveries and under no circumstance must blue lights be used. This is illegal!